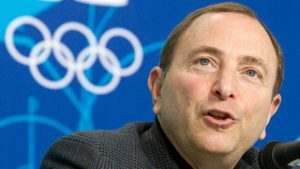 The International Olympic Committee and hockey’s governing body will have to make concessions before the NHL sends the world’s best players to the Winter Games in South Korea next year, commissioner Gary Bettman said Friday. Big Question: Want to play in the Olympics? We asked the players if they wanted to take part in the Winter Games, and nothing rings hollow about their answers. Locked in a stalemate over NHL participation in the next Winter Olympics, NHLPA chief Donald Fehr told ESPN that the league’s players won’t concede. “As things stand today, you should assume we’re not going,” he said. Bettman made it clear at a breakfast with Chicago business leaders that league owners don’t want to stop their season for three weeks again and put their stars at risk of injury without what they consider a tangible return. The reluctance is not new, but the NHL has participated in every Winter Olympics since 1998….